The winners of today’s show will go into the finals while rest of the contestants will get eliminated. Below on this page, we have the full live recap of tonight’s episode only for you. So, don’t forget to scroll and know what actually happened on the show and who made to the top 4 contestants. Daly announced the third finalist as Hannah Huston from Team Pharrell Williams. Now, five contestants were left off in jeopardy. 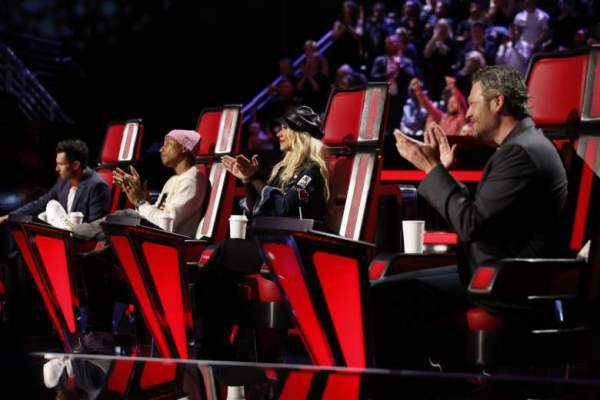 The first artist declared to sing for the Instant Save was Mary Sarah from Team Blake Shelton, followed by Bryan Bautista of Team Xtina, and also Laith Al-Saadi. It meant the end for rest of the contestants. Mary Sarah sang “Something In The Water.” Bryan Bautista performed next and sang “Adorn You.” Then, Laith Al-Saadi took over the stage to sing” All Along the Watchtower.” Coach Adam Levine appreciated Al-Saadi’s uniqueness and asked the viewers to vote in his favor. The singer incorporated two guitar solos. Then, came the time for another commercial break. The final contestant announced to be in the top 4 was Laith Al-Saadi. Stay tuned to The Reporter Times for latest news. I am thrilled that Laith won. I have downloaded all of his songs. I was concerned two nights ago as I felt his Adele performance was muted by too much background music which he surely doesn’t need and actually gets in the way of hearing and fully appreciating his incredible vocal range, soulful performance and incredibly heartfelt performances. Other than his voice and guitar he doesn’t need much else other than more great songs to sing…..and to win!, whether he does or not I will await an album. Hopefully he performs some motown .